Be amazed as you are whisked on a brisk 25-minute boat ride from the bustle of Belize City to the natural tranquility of Hugh Parkey's Belize Adventure Lodge. Located on a 186-acre private island with its own four-acre lagoon, the lodge boasts 12 individual cabanas, one student bunk-house, a rental shop for essential gear, gift shop, restaurant, bar and Belize's only dolphin program and dolphin-care facility. 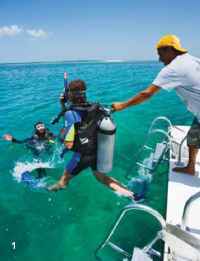 Belize's barrier reef is only a quarter of a mile away, and the great atolls, the Blue Hole and more are all less than two hours by boat. 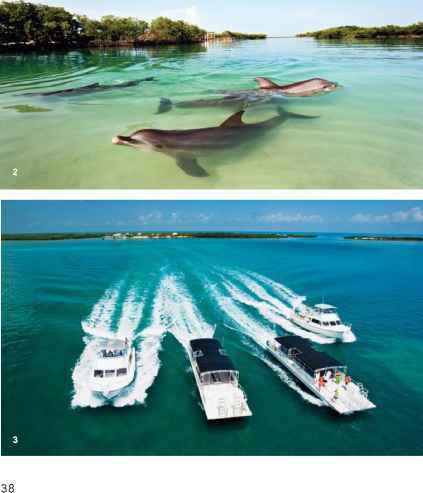 That makes Hugh Parkey's the perfect way to enjoy Belizean snorkeling, scuba diving, kayaking and dolphin encounters. Take a day off to enjoy a half- or full-day package. Better still, spend the night and experience Belize at its best. stairs, shared hot and cold bathrooms and a private dining room. 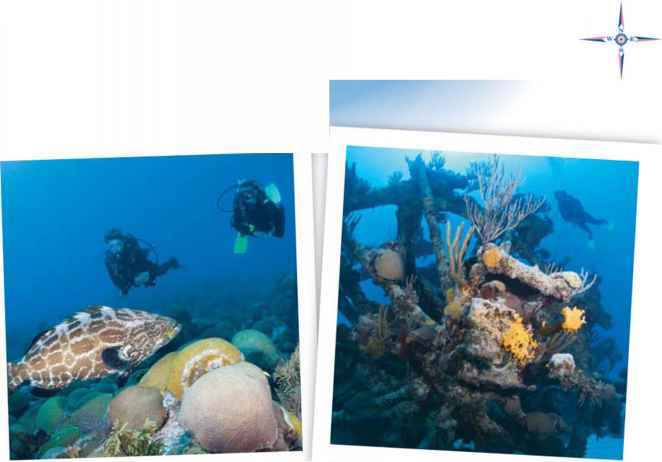 Because of its proximity to dive sites, land tours and some of Belize's most beautiful natural areas, the lodge is ideally situated to accommodate a wide variety of guests: divers, adventure travelers, student groups and leisure travelers just looking for some peace amid stunning surroundings. The newly constructed restaurant is comfortable and relaxing with an elevated deck overlooking the sea. Serving breakfast, lunch and dinner, it can accommodate 48 guests inside and 42 on the open-air deck. Like everything at Hugh Parkey's Belize Adventure Lodge, it's designed to make your sojourn in Belize one of the most memorable experiences of your life.